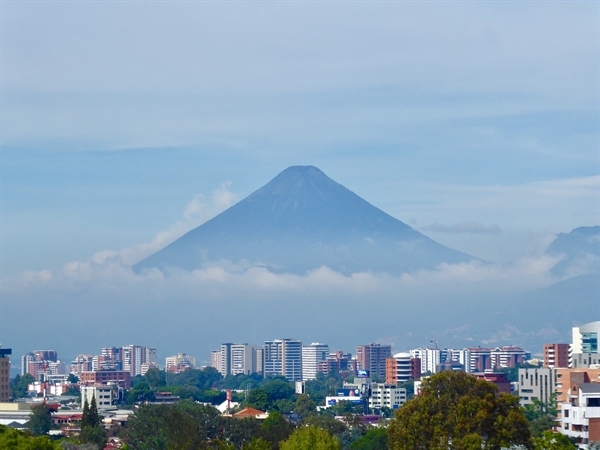 On behalf of the Secretariat of the Basel, Rotterdam and Stockholm Conventions, hosted by the UN Environment Programme, it is a pleasure and an honour for me to be back visiting this beautiful country to address you today at the Bonn Challenge Guatemala 2018. Allow me to start by commending the vision and long-term commitment of the Government of Guatemala for its pledge to restore 1.2 million hectares of degraded and deforested land by 2020, as a contribution to the global Bonn Challenge, which in turn also contributes towards the implementation of the 2030 Agenda for Sustainable Development and the attainment of the sustainable development goals (SDGs). This is not only an ambitious commitment but one which transcends the way all the people of Guatemala live and interact with nature, and how they are securing a better future for their children. Forests are not just about trees – they are about life and prosperity - they provide us with water, food, medicine, clothing, shelter, energy or fuel, protection against floods, natural disasters, natural storage for carbon, attenuation of pollution, chemicals and recycling of nutrients, revenue from its resources, tourism, and the wonderful air that we breathe. However, much of our forests around the world remains in a very poor state. We have failed to learn from past civilisations that revered the forests and this will not only cost us our communities and livelihoods but also our planet. Due to the world’s rapidly growing population and increasing demands for shelter, food and fuel production, as well as clearing of forests for agriculture, dams, mining, use of pesticides, mining, rapid urbanization, waste generation and infrastructure development continues to contribute to global scale land degradation and increase in pollution. In many countries, hundreds of square kilometers of land have a legacy of contaminated land resulting from mining, past industrial activity, intensive agriculture, chemical stockpiles and waste management. According to the 2015 status of the World’s Soil Resources Report, published by FAO, soil pollution is one of the ten major soil threats. Estimates from the World Health Organization indicate that at least 12.6 million people died as a result of living or working in an unhealthy environment in 2012, primarily from environmental risk factors, such as air, water and soil pollution, chemical exposures, climate change, and ultraviolet radiation. We have good news however.. Another study has confirmed that living near nature and trees is good for human health — and can even save lives. A report by the Nature Conservancy finds compelling evidence that planting trees in cities can result in cooler temperatures and reduced air pollution for millions of urban residents. Those efforts to reverse this worrying trend have been supported through action by the international community which has established global regimes and programmes to reverse land degradation, deforestation and minimize pollution. You would agree with me that chemicals, many of which are quite invisible, can be found everywhere in our daily lives as we have become dependent on them. The sound management of chemical wastes is an essential contributor not only to the environmental, but also social and economic dimensions of sustainable development; it represents an illustration of a truly key cross‐cutting issue which can provide practical solutions to global and local challenges. Thus, its full integration in the global sustainable development policy is crucial for the societies to have clean air and water, sanitation, safe food, sustainable ecosystems and cities while promoting healthy lives, safe jobs and sustainable economic growth. During the 3rd United Nations Environment Assembly ( UNEA 3) held last December, Ministers of Environment issued a declaration which committed to increasing research and development, targeting pollution through tailored actions, moving societies towards sustainable lifestyles based on a circular economy, promoting fiscal incentives to move markets and promote positive change, strengthening and enforcing laws on pollution and much more. When we undertake land restoration, reafforestation and forest rehabilitation we generate a wide range of benefits–not only forest quantity and quality, but enhanced food security, improved air and water quality, reduced chemical pollution, climate change resilience, job creation, and more. And of course, land restoration can bring economic benefits such as tourism, eco- tourism, promotion of indigenous people’s alternative lively-hoods, agroforestry. There, we should acknowledge and continue to encourage the participation of the private sector, NGOs and local governments. Thus, efforts such as the Guatemala Bonn Challenge, contributes immensely towards ensuring a sustainable and pollution free environment for tomorrow’s generations! In closing, allow me to thank once again the Government and the people of Guatemala, for this long term investment in their environment and people, and for their warm welcome! Thank you Vice-President Cabrera, Minister Alfonso for your leadership and commitment to this important initiative, and you can count on my support and that of my organization in this important endeavor. Thank you to the government of Germany, to the International Conservation Union for Nature and the Rainforest Alliance for your support and commitment towards this important initiative.